For each corrupt official sacked, Chinese people are certain there are higher-level “tigers” behind the scenes. China’s Central Commission for Discipline Inspection (CCDI) recently released a report on its website called “Using ‘Zero Tolerance’ to Look at the Current Atmosphere of ‘Fighting Tigers.’” According to the report, the current anti-corruption campaign has three features: “the Central Committee attaches great importance to it,” “the common people pay close attention to it,” and “corrupt officials are extremely nervous” about it. This report fully displays the current leadership’s determination to fight corruption. Actually, under the current system, there’s no systemic way to fight corruption and the media and the people are still far from being able to supervise officials. Under these circumstances, the question of whether or not the fight against corruption can continue depends mostly on the leaders’ “determination” and “attaching great importance” to the campaign. However determined the leaders are is how far the anti-corruption campaign will continue. We’ve never before seen leaders fight corruption so fiercely, but as long as fighting corruption is still dependent on the top level’s “determination” and “attaching great importance” to it, there’s no way to completely eliminate some doubtful voices. I have one friend who often counts up the results on his fingers, saying the fight against corruption is over, right? His confused expression is really sad. He obviously hopes that the anti-corruption campaign can keep going, but reason and common sense tell him that clearly a fight against corruption based on individual “determination” is not going to last long. 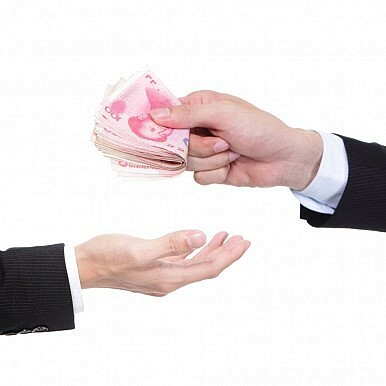 The CCDI has made it clear that there is no “selective fight against corruption.” They’ve said that cleaning up corruption requires “zero tolerance.” According to my understanding of the Chinese system, if the CCDI’s words match its actions, then those who are “extremely nervous” aren’t just corrupt officials. Every official who has grasped a little bit of power can’t escape being nervous. Even low-ranking officials will be afraid that in the future they’ll lose the “extra income” their jobs provide. During the past 30 years of rapid economic development, it seems that corruption has spread to every department with any power, and the culture of corruption has infiltrated every corner of society. A “zero tolerance” fight against corruption doesn’t only cause concern for a few bad eggs. Because of this, while fiercely fighting corruption, we must also pay attention to systematizing the fight against corruption. We have to protect the overall interests and enthusiasm of lower-ranking officials, and avoid the possibility that an anti-corruption campaign motivated by “determination” might be biased. The relatives and children of some corrupt families are now in America. From across the ocean, they are complaining that their families are being targeted by certain leaders as part of a power struggle. Naturally, we don’t need to pay too much attention — do they really not know how much of the country’s hard-won wealth their own family has embezzled? A house fly doesn’t attack an uncracked egg. Do they really not know how much dirt is on the hands of their family leaders? If you really believe that you’re not corrupt, you might as well act like Liu Shaoqi [an official persecuted during the Cultural Revolution] and use the constitution to protect yourself. Today there’s no Mao Zedong like there was back then. As long as you dare to stand up, if you aren’t hiding dozens of mistresses and trillions of yuan, then your status in history won’t be any lower than Liu’s. However, the people’s doubts about the anti-corruption campaign should still attract the attention of the authorities. For example, say the people believe that this is a selective fight against corruption, or that the government is only fighting “flies” and not “tigers,” or even that the anti-corruption campaign is a power struggle. If people believe these things, this anti-corruption drive not only has no way to eliminate the root of corruption, but it will actually nurture a different type of corruption. As one netizen said: You catch a guy who is so corrupt to the gills, and replace him with a “squeaky clean” official from the new faction. But there’s no system for fighting corruption, and the people have no power to supervise officials. Under these circumstances, we know that this “squeaky clean” official will turn out to be like the previous guy, grabbing lots of money and girls to satisfy his appetite. Yesterday I was chatting with a knowledgeable friend from inside the system. I asked him what he thought about the news that China Resources Chairman Song Lin has been sacked and is under investigation for corruption. He said carelessly, “Is that considered news?” He explained you can take the head of any state-owned enterprise like Song Lin or a department chief of a similar rank and say he’s corrupt, that he was egging on his mistresses and family to illegally earn money. After a year, if he hasn’t been taken away by the CCDI, then it’ll be news. This makes me remember many years ago when I was walking in Dongguan and saw all of the nightclubs and brothels. It was really a scene. I couldn’t help having a certain feeling of unease, and I wanted to write something about it. But the local friend who was accompanying me warned me: you can go and enjoy yourself, but watch your step and definitely be careful what you write. These bosses all have their backers. I was a bit surprised and offended, and I asked him, “Are their backers the mafia?” He laughed and replied, “Of course not. I know you’re not afraid of the mafia, but…” My friend said, here, even a village chief can “talk to heaven.” You can’t risk offending him. In red society, the phrase “talk to heaven” means that you have connections and a protector at the provincial Party committee, or with the level above the provincial government leaders. After Dongguan was suddenly caught in the anti-prostitution campaign, I asked my friend, where did all the protectors go? Where did the protectors go? Where have the tigers gone? The tigers are what the people are “paying close attention to.” They should also be caged as soon as possible. The leaders “attach great importance to” their anti-corruption campaign — if they don’t want it to be labeled as “selective” or a power struggle, and if they want to obtain ultimate victory, they must make use of two effective methods: a system to fight corruption and the supervision of the people (and media). This piece was modified and translated from a Chinese language piece on Yang Hengjun’s blog. The original post can be found here.